Parishioners at a Queens church where a newborn baby had been abandoned and left inside of a Christmas manger last week are interested in adopting the child. 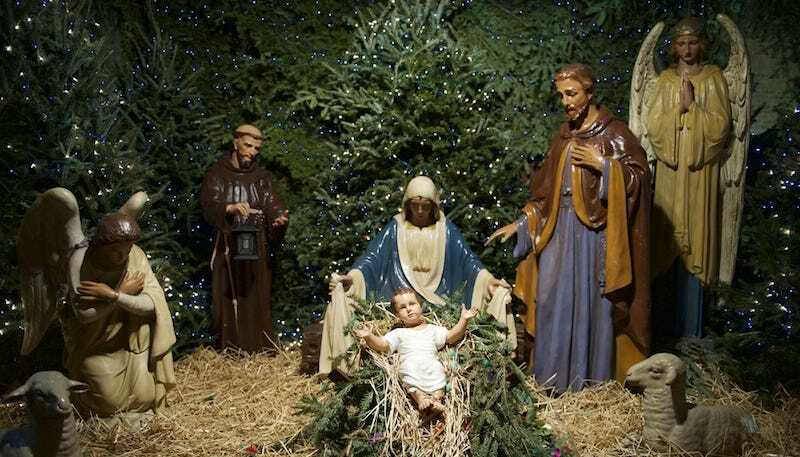 A custodian discovered the five-pound baby inside of a nativity scene set up at Holy Child Jesus Church. Surveillance video showed the child’s mother entering the church with the boy wrapped inside of a towel, then left without him. The baby was believed to have been born just five hours earlier, and still had his umbilical cord attached. Rev. Christopher R. Heanue, administrator of Holy Child Jesus Church, told Newsday several church members want to adopt the baby boy. “We have a number of people within the community that would love to see him stay with us,” said Heanue. “He’s a member in our hearts. There’s really a connection that people have felt over the past few days.” The newborn was taken to a hospital and found to be in a healthy condition. He is currently in the care of the New York City Administration for Children’s Services. According to the New York Times, prosecutors did not place any charges against the mother of the baby, due to New York’s “Safe Haven Law,” which permits parents to leave their child in a safe place, such as a hospital, firehouse or church. The law usually requires the baby to be left in the care of a staff member or someone who can immediately contact authorities. The identity of the mother has not been released.